Some of us have done this work for decades; some of us are just getting started. Many of us are born-and-raised Tennesseans, and some of us have come thousands of miles to join TJC. Our team is proud to work hard every day on behalf of and in partnership with Tennessee individuals, families, and communities. Click photos for more information. Kayo Beshir was born in Oromia, Ethiopia and has lived in Kenya, Uganda and now the United States where he earned his U.S. citizenship in 2010. He is a recent graduate from Middle Tennessee State University, graduating with a B.S in International Relations. During his collegiate career, he had an opportunity to study international affairs at George Mason University and Spanish politics in Barcelona, Spain. Kayo loves traveling and learning languages (4 already) and he aspires to be an international lawyer. Kayo serves as the Nashville UNICEF Congressional Action Team Leader, member of Tennessee Immigrants & Refugee Rights Coalition, and President of the Oromo Youth Community of Nashville where he has been able to use his platform to be a mentor to the younger generation. Kayo was awarded 2017 Rising Human Rights Advocate of the year by the Tennessee United for Human Rights Commission. While much of Kayo’s work has been focused on global issues, he is excited to work at TJC to focus on local issues that impact the lives of his Tennessee neighbors. When not at work, you may find Kayo cooking Ethiopian food, playing soccer or booking his next flight. He loves to travel and takes advantage of doing so any chance he gets. Kayo has visited 37 cities,16 countries, and four continents. He aspires to visit all 195 countries and all 7 continents before he retires. Social Welfare, the ACLU of Tennessee, the Tennessee Primary Care Association, Families USA Foundation, Tennessee Bar Association, the Tennessee Women’s Political Collaborative, the Tennessee Chapter of the National Alliance on Mental Illness, the Nashville Bar Association and the Metropolitan Nashville Human Relations Commission. Ray was born and raised in Columbus, Ohio. A musician and music aficionado, he first came to Nashville to attend Belmont University in 2010. There, Ray developed his passion for social justice and public service by participating in a number of service-learning projects, including tutoring at the YMCA and mentoring in the PeaceJam Mid-South conference. He was also a member of Belmont Bridge Builders, where he served as the social media chair, and the Black Student Association. After graduating from Belmont with his B.B.A. in 2014, Ray relocated to the Northeast, where he began his career in development at WAMC, the NPR member station in Albany, NY. He later worked in gift processing for Western New England University in Springfield, MA. Ray returns to Nashville with a dual focus of reconnecting with his musical roots and wielding his experience for “the least of these” to ensure that as many people as possible have access to their basic human needs. Ray believes in the virtues of community, media, and due process. He is a huge proponent of income equality, public libraries, and health care for all. Outside of the office, you can find Ray walking his yorkipoo around his Germantown neighborhood, catching independent film screenings at the Belcourt Theatre, hiking on Radnor Lake, and performing shows around town as a singer/songwriter. During her time at Furman University, Ashlan developed a passion for public health and equality. Her Health Sciences major enabled her to travel to sub-Saharan Africa twice to study health inequality. It was this trip combined with her volunteerism for The ONE Campaign that sparked her passion for social justice and healthcare. In college, Ashlan ran an organization called, The Global Issues Forum where she held events ranging from human trafficking to HIV, and she serves as a grassroots organizer for The ONE Campaign where she advocates for poverty eradication. Ashlan also served as a volunteer labor doula, where she has helped women through both pregnancy and childbirth. She enjoys trying new foods, spending time with friends, and traveling, and is excited to use her passions for social justice and healthcare to help all Tennesseans. You can reach Ashlan at ajackson@tnjustice.org. Susan originally came to Tennessee from Minnesota to be an intern at the Highlander Research and Education Center in East Tennessee in 1992. After working briefly in Chicago, Susan returned to Tennessee in 1994. Susan’s early work in the state included working as a community organizer for a community/church/union partnership addressing plant closures in rural parts of the state. She also worked alongside TJC staff in pushing for the state’s welfare reform law to address the real needs of low-income Tennesseans. Not long after that, she became one of our first TJC employees, working as a client advocate in 1996-1997. Susan left TJC for twenty years but has recently returned to fill the COO role. In the interim, Susan consulted with national nonprofits, primarily on research and strategic planning. Most recently, she worked for a national union on research, policy advocacy, program development, and strategic planning and communications. She has worked on projects as wide-ranging as the development of a savings plan for low-income workers in California and the creation of a property tax reform campaign in Texas. Susan was formerly (long ago) an infrequent contributor to the radio show This American Life, which she mostly uses to impress her teenagers. Susan has a BA from Carleton College and an M.Ed from Vanderbilt University. Susan lives with her husband John and her two daughters on a farm in Leipers Fork. She is an active supporter of public schools and a devoted but ever-failing gardener. John has worked at the Tennessee Justice Center since 2011, first as a Client Advocate, helping families navigate the public health insurance system to get health care for their loved ones. In that role, John had special experience with CHOICES, a program for older adults and people with disabilities who need nursing home or home-based care. John also helped launch a successful Medical-Legal Partnership with Johnson City Community Health Center, an affiliate of East Tennessee State University. In 2015, John took on TJC’s financial responsibilities, including financial strategy and reporting, grants, and funder relationships. John is grateful to be part of the TJC team and to have a job that is both intellectually challenging and emotionally fulfilling. A graduate of Vanderbilt Divinity School (2010), John is perhaps an unlikely finance professional, but enjoys working at the intersection of TJC’s life-changing programmatic work and the administrative and financial resources that make it possible. Outside of work, John enjoys playing guitar and spending time with his wife and two neurotic dogs. Caroline Rossini graduated from Vanderbilt in 2007 with a B.A. in Spanish and moved to Phoenix, AZ to work for New Global Citizens, a nonprofit that equips and mobilizes teenagers to positively impact the global community by partnering with grassroots organizations around the world. Upon returning to Nashville, Caroline served as the youth minister at Christ Church Cathedral (Episcopal), where she and her family remain deeply engaged members today. In 2011, she returned to Vanderbilt to work in the development and alumni relations office. 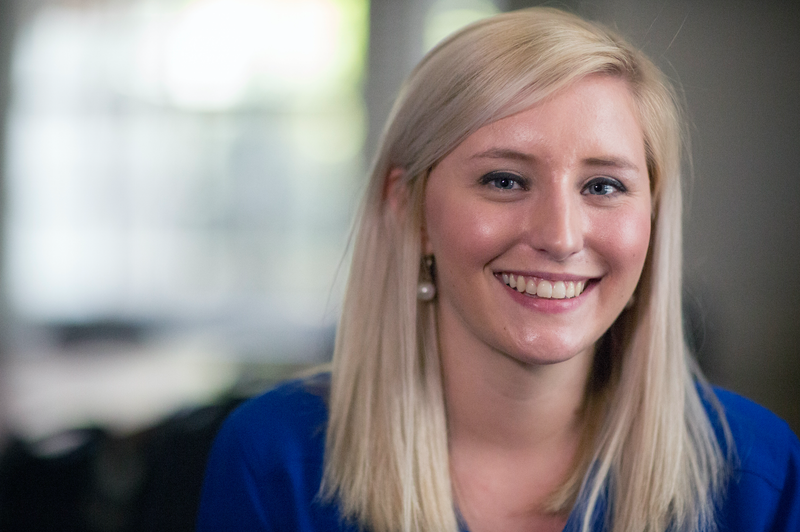 In 2014, Caroline joined Batch Nashville to lead corporate sales and curation. Caroline is delighted and humbled to be a small part of TJC’s incredibly important work. Beyond the office, you’ll find Caroline hiking the trails of nearby (and distant!) parks, playing on her yoga mat, and sharing good food with good people. You can reach Caroline at crossini@tnjustice.org. Madison is from the Outer Banks of North Carolina. She graduated from Emory University in 2016 with a B.A. in Political Science. As an undergraduate, Madison was a recipient of the Community Building and Social Change Fellowship. As a Fellow, she conducted community perceptions research about gang activity in Atlanta and worked with an urban farming initiative to implement a mobile grocery operation. Following graduation, Madison acted as a disaster relief volunteer in Nepal and traveled extensively in Morocco, Tanzania, and India. Prior to joining the TJC team, she acted as the Director of Project SHINE at Emory University where she trained and coordinated over 100 volunteers to serve in EL classrooms across Atlanta. She served as a community volunteer for five years, tutoring EL students in English and U.S. Citizenship classes. She strongly believes that everyone has a right to a quality education and that our society has a duty to invest in children, low-income families, and New Americans.